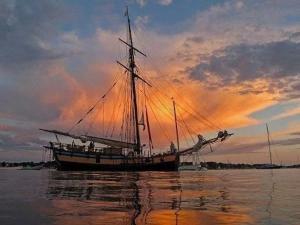 Minutes from Washington, D.C. on the Potomac River, Old Town Alexandria delights travelers from all over the world. 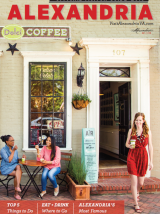 A busy seaport from colonial times through the Civil War and even during World War II when the Torpedo Factory Art Center was a naval torpedo factory, Alexandria’s waterfront is currently undergoing a major revitalization. 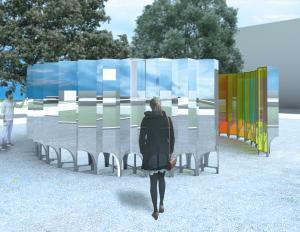 Here’s what’s new, what’s now and what’s next. DC’s Southwest Waterfront is undergoing a $1.5 billion redevelopment known as “The Wharf,” which features a mile-long stretch along the Potomac River with concert venues like The Anthem, restaurants, retailers, residences, and businesses. 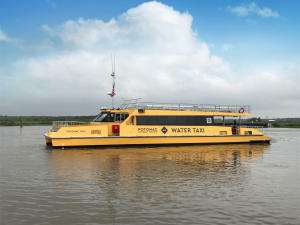 Potomac Riverboat Company offers high-speed water taxi service from Alexandria’s waterfront to The Wharf. 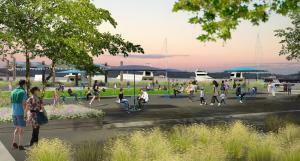 Groundbreaking of Phase II of The Wharf is scheduled for mid-2018 and expected to be finished in 2021. 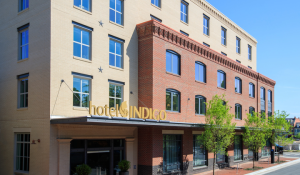 Alexandria welcomed its first waterfront hotel in May 2017, the highly anticipated Hotel Indigo Old Town Alexandria. Touches of Alexandria’s colonial past blend with contemporary design at the boutique hotel, nestled on a riverside site where a 300-year old ship was discovered and excavated during the hotel’s development. Located inside the hotel, Hummingbird is the latest creation of James Beard nominee Cathal Armstrong and is the newest addition to Alexandria’s menu of waterfront restaurants. Earning high praise from The Washington Post, this airy eatery offers beautiful views of the Potomac River from the dining room and outdoor patio. Hummingbird is an energetic bar and kitchen inspired by the American spirit of cherished traditions: clambakes and crab boils, fish fries and oyster roasts. Accessible via water taxi or the NH2 shuttle, MGM National Harbor, which opened in December 2016, is one of the DC area’s hottest new entertainment destinations. 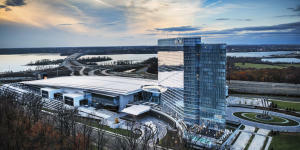 Located on the banks of the Potomac just over the bridge from Old Town Alexandria, MGM National Harbor is the premier luxury resort and casino experience on the East Coast. MGM National Harbor features a casino floor bigger than the White House, a 15,000 square foot conservatory with breathtaking displays that change seasonally, fine dining from world renowned chefs such as José Andrés and the Voltaggio brothers, and an intimate 3,000-seat theater where you can experience the biggest names in entertainment. 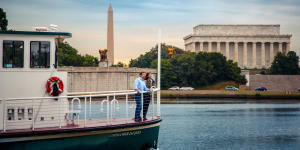 Visitors can access the region with Potomac Riverboat Company’s many cruises, including ones to George Washington’s Mount Vernon, The Wharf, Georgetown, Nationals Stadium, and National Harbor.